Blog > Designers > NEW Indie designer patterns you’ll love! Something very exciting has arrived at LoveKnitting and we’re so happy we can finally announce it! We are delighted to finally reveal our latest and most fabulous addition: LoveKnitting Designers! Joanne has made this beautiful “deep, lacy shawl project perfect for dressing up an outfit for a wedding or christening”. It’s great for smartening up your casual outfits and she suggests wearing it wrapped around your neck for lunch with the girls! This pattern is knit using Fyberspates Scrumptious, a lovely 4 Ply yarn blending silk and merino to create a luxuriously soft yarn available in vivid solid colours. These cool and comfy hats are worked in the round and bottom up, it’s a pattern that suits beginners and experienced knitters alike. The pattern includes two versions and a range of sizes to keep many heads warm. Illustrated tutorials are also included for the specialist cast-ons, ensuring perfect results every time. The pattern recommends knitting with Debbie Bliss Blue Faced Leicester DK, a cosy and stylish 100% British wool available in a range of stunning autumnal shades. This striking scarf was inspired by woven rugs and shawls and “the bold colours and geometry contrast with the naturally woven-like texture of tapestry crochet that creates a shawl that can be dressed up or down”. Hunter wrote a beautiful description for these lovely slippers, which does them every little piece of justice: “Cinderella had the wrong idea… I’m not the glass slipper type. In fact, I’m not really the shoe type (certainly not dressy shoes). I’m more inclined towards soft, snuggly slippers. Make that soft, snuggly slippers, worn at home, while sipping tea, and in the company of a sleeping kitten. That sounds much better than any fancy dress shoe, no matter how smashing the ball might be. If you’re with me on this (or if you just want something cozy to slip into after the ball), then these slippers are for you.” This pattern is made with two yarns; a soft, DK weight yarn and a worsted weight yarn. This lovely stranded colourwork jumper is inspired by the lovely Brother Rabbit pattern by English Arts and Crafts designer, William Morris. It is knit from the top down and is mostly worked in the round. The pattern comes with a handy diaram showing the finished measurements to aid with selecting which size to knit. Make it with Rowan Tweed Fine, a beautifully soft and strong tweed yarn, traditionally spun and produced in one of Yorkshire’s few surviving mills. Rowan Fine Tweed knitting yarn is perfect for colour work! Jenise Reid has made this beautiful and highly detailed lace tee pattern for all those lace knitters that want to try something new! The pattern is knit in the round, from the bottom up with hems using the same yarn. The body is primarily straight knitting, and then transitions into lace for the yoke. The suggested yarn for the pattern is Malabrigo Lace, a gorgeous yarn spun from merino wool in Uruguay that will give this project a beautiful drape. A playful and colourful half-pi shawl that Kirsten claims to “take advantage of simple slipped stitches, and garter stitch stripes to create a fun graphic pattern”. It’s beautiful garter stitch lace edging really is something to admire. Amanda Berry has some great patterns that makes knitting even more fun! From Badgers to Carrots she has something for every occasion. Made a great pattern of your own and want to share with the community? 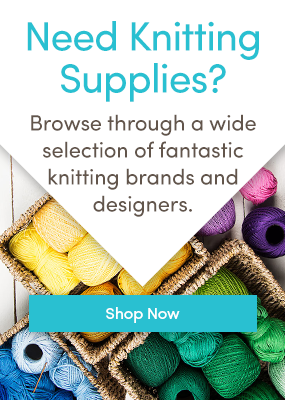 Click here to learn more about LoveKnitting Designers. What do you think of our indie designers? Tell us in the comments below. CLICK HERE to see all patterns. Last updated: February 4th, 2015. 29 Responses to NEW Indie designer patterns you’ll love! Love the socks and slippers. Lovely idea and some delightful, original patterns. These are all such wonderful and creative patterns! I particularly like the slippers and the badger. I love thesethey are such fun and original iaspecially like the badger ..
Love the filmy, lacy tee, but I wouldn’t be able to wear it. I can think of many family members who could. Also loved that beautiful half-pi shawl but would want it in a different color. Love them my first project will be slippers! Absolutely LOVE the socks and slippers…and I would buy both right now, but on the website the ‘view materials’ link isn’t working, it doesn’t show the yarn amounts or anything, and I prefer to know all this info before I buy!! Thank you for your comment – we’re so pleased that you’ve been inspired by our fantastic new designers! Unfortunately the pattern material isn’t available at the moment (we are working hard to get this fixed!). However, I can let you know what materials you’ll need. Hope this helps, and happy knitting! I love the slippers. They look really comfy. Too advanced for me , I”m sure, but looking at the materials list I was puzzled by the term foot circumference. Surely the foot length would be more important with footwear? Is there a correlation between length and circumference? Thanks for your comment – they are so lovely aren’t they! All of the patterns will be for a ‘standard’ foot size, whenever you knit socks, you can knit it to the size you need, so they’ll be long/short enough for the person who knits them. The circumference comes into play if you’d like a wider sock. I particularly liked the bunny sweater and the faux honeycomb pattern in the blue and orange shawl. Is the Slipper pattern a download? Thanks for your comment! Yes, the slipper pattern is an instant download, just click on the image to find the product page. I would like to send for the pattern book for the New Indie Lace Tee sweater. How do I do this? Thanks for your comment. The great thing about the new Indie Designer patterns is that they are instant downloads. Just click on the image that you’re interested in, that will take you to the product page where you can buy the pattern. Loved all the unique and different patterns. Especially liked the slippers. I love all the Indie patterns, especially the lace yolk Tee, although I have never tried one so far. These new patterns tempt me sorely and I think my little honorary grandson will love the badger. Who knows, that might just be my next project. I particularly love the Willow sweater and the badger, will definitely look at getting them. I meant of course the sweet william sweater not willow, my eyes obviously weren’t working in conjunction with my brain!! Wow, wow, wow! These designers are very talented! I can’t choose a favorite; the Staggered hats look really practical and wearable, but then the slippers look soooooooooo comfy. And then, the Bond Street shawl really makes my hippie heart sing, and the Sweet William Jumper is simply adorable. And, of course, my ever-lasting love of lacework in general, and of Malabrigo Lace in particular, pushes my towards the gorgeous Crown Tee. So little time, so much to knit! These patterns are amazing – such talented young designers… and to think some people think that knitting and crochet are on the way out – not with these young designers on the job! Thank you for providing them with a space to share their work. I am so happy to see clever, designs that are also practical, and comfortable to wear. I really love the stagered rib in the hats. Also the slippers would be so soft and comfy. Amanda Berry’s whimsical veggies, fruit and animals are so much fun for little ones. I can’t wait to get started. Some of my very favourite designers here.bwhat a great idea! Wow! these patterns are incredible! Debit card is sweating like mad!! Husband is at work! What a shame! Can’t wait to get started – treated myself!! My first response was WOW! I wish I had their talents. I think it’s great to see young people come up with such stunning designs. Thank you for showing their designs for the rest of us to see. Truly impressed with all the beautiful designs. I am happy to see new talent. Looking forward to knitting these. The slippers are great and I love the lacy T. Being a (very) novice designer myself, I have a special appreciation for sites that spotlight our work. Thanks so much! Ah the slippers! The design and styling by Hunter Hammersen with the clever diagonal detailing would ensure any frazzled Cinders could keep both feet toasty no matter how late she stayed up! I’m with Hunter, why bother with the Ball? Just curl up with a good book and a cuppa and give those dancing feet a rest with these beauties for company! Love, love, love them.